Twitter is the most powerful platform that you can express your thoughts with your followers. 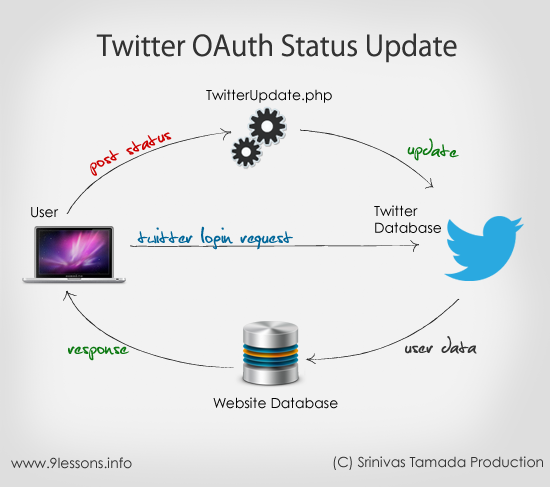 Few months back Twitter has been updated there OAuth APIs, this tutorial will explain three import systems like, login with Twitter, storing Twitter Oauth tokens into database and update Twitter status message with your own web application. This script helps you to share your web application updates with user Twitter status updates. You have to create an application and give the details in the following way. 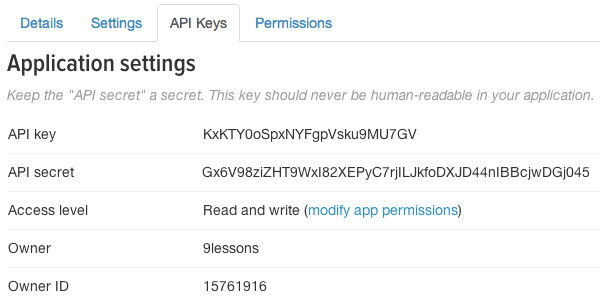 You have to modify application API key and Api secret. Database configuration file, update database details such as username, password and database name. This code will generate Twitter authorization url. Contains PHP code, hyperlink to TwitterLogin.php file. 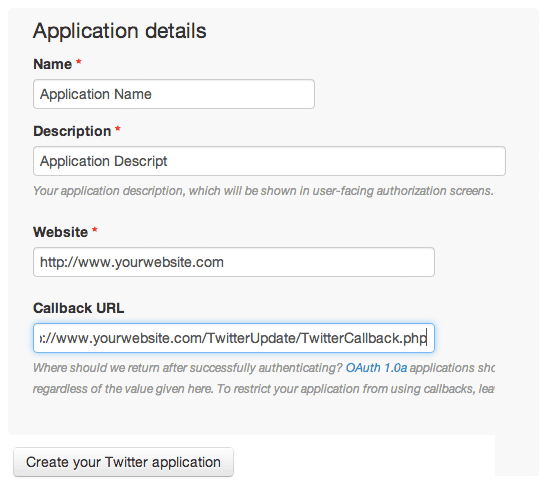 Twitter application callback URL, Twitter will send all the OAuth tokens values to following file. Please follow the code comments. //Ajax message update to Twitter. Twitter OAuth status update file. //Getting values from TwitterUpdate table. Hello, is to use this same method to automatically post to Twitter? thanks srinivas, but how you can update status with the media, for example, by adding a picture with the post? Not related but did twitter started giving user email with this update? Twitter updation using PHP, a very good post. Really informative and Interesting. I have a twitter account and I surely try this for once. Cheers! I am getting the following error. Any Idea why! m getting this error .. This solved the problem for me! Twitter is not providing email id. I am using your code in my YII Project and i find some error like "Redeclared EpiTwitter class". Can you please help me to solved this error. hi thanks a lot for this useful post. i found all the details very well except email address of logged in user. how can i found the email address of logged in user. please help me. Thanks a lot: Praveen Kumar. Hello, i get a problem here, please help me. TwitterLogin.php doesn't generate Twitter authorization url. and i don't know where the problem is. I am using your code in my YII Project.I find error like "Redclared Class EpiTwitter" Can you help me to solve this problem I want to live my project at EOD. Please Please help me.I am waiting for your favourable reply. After this one redirection the Blank screen is prompting ,Why?